Photo © Nana Kofi Acquah. Reprinted with permission. Efo Kofi, our father and poet is gone. And hopes for virgin-infested harems. It feels like to have a brain. Nana Kofi Acquah is a long-time contributor to One Ghana, One Voice, and a prolific photographer. The above photo, taken by Nana Kofi Acquah, was so loved by Kofi Awoonor that he printed out a large version of it and displayed it in his house. You can learn more about Nana, his writing, and his photography, on his blog. I was expecting poems like Acquah's. Of course, our writings can't avoid reference to the circumstance by which Awoonor died. But recreating the "brutal" scene where the professor was "forcefully ushered" into eternity, could be infuriating. The photo is so lively. It wont make you believe Awoonor is gone. 78 is a good old age, but he had so much life in him. Maybe he is not dead. Maybe he is just playing dead. Good job, Acquah! 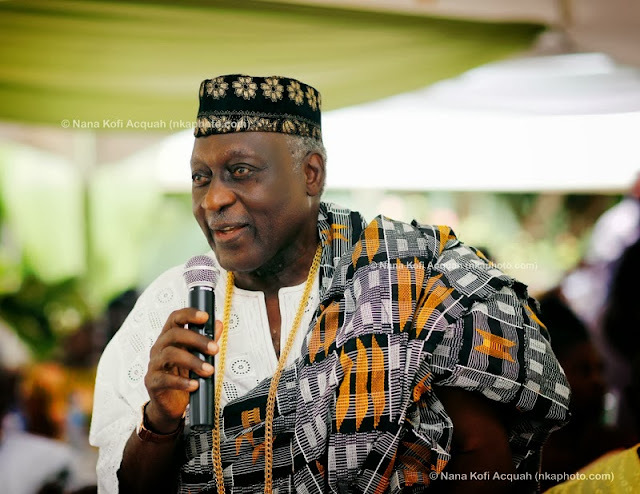 The poem "Kofi Awoonor is Gone / Kofi Awoonor is Here" - by Nana Kofi Acquah is a typical example of anger poem. The vituperation and frustration are all there in the lines of the short poem, as if they are blurted out with clenched teeth. Indeed, anger is a human emotion that we all feel at one time or another. Perhaps it is not the feeling that is problematic; rather it is our lack of knowledge of how to express anger which leads to so much sadness. How the individual chooses to express this feeling makes all the difference. On the other hand, we all know the inherent danger that when anger is repressed it tends to leak out into all aspects of our lives. The title “Kofi Awoonor is Gone / Kofi Awoonor is Here” paradoxically portrays how the late Kofi Awoonor might be physically gone to the great beyond but continue to live “here” on earth in our hearts especially his poems and other literary works that will continue to epitomize his invisible presence.